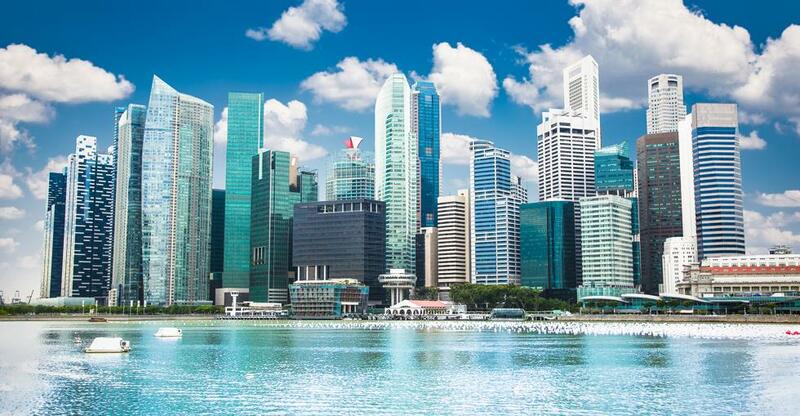 Singapore has much to offer the aspiring bar owner or proprietor of any business. The cosmopolitan city-state is business-friendly – ranking second overall in the World Bank’s Ease of Doing Business rankings 2018 – and has a diverse, thriving bar scene. But this isn’t an easy sector in any country. Working hours are long and failure rates are comparatively high. Plus Singapore poses two other challenges: high lease costs and a recruitment squeeze triggered by tight restrictions on foreign labour. Despite this, Singapore is heavily represented in Drinks International’s prestigious roll call of the World’s 50 Best Bars and Singapore has a diverse, thriving bar scene. This article looks at the six bars in Singapore that made Drinks International’s 2017 list, the skills and qualities you need to thrive in this sector and tips for choosing the right bar, running it successfully and preparing it for sale when you decide to move on. In terms of quality and variety, Singapore’s bar scene stands comparison with London’s Soho or New York’s East Village. Chic wine bars, plush cocktail bars, specialists in rare whiskies or flavoured gins, sake bars, craft beer bars, British-style pubs – you name it. Competition is particularly stiff at the premium end: Singapore had six bars among the prestigious World’s 50 Best Bars 2017 compiled by Drinks International. Philip Bischoff, manager of Singapore’s loftiest entry (at #7), Manhattan, told TODAY Magazine that its burgeoning reputation has “attracted plenty of internationally renowned bartenders.” Igor Hadzismajlovic, founder of Employees Only, noted a “quantum leap in cocktail-making” witnessed “in the last five years”. Manhattan, on The Regent Singapore’s second floor, has also been crowned Asia’s best bar two years running by Drinks International. Judges were impressed by its fastidious attention to detail and an imaginative menu that draws inspiration from as far back as the 16th century. At #15 on the 2017 global list sits Atlas, an opulent bar on the ground floor of Art Deco building Parkview Square. A 25-foot-high bar boasts the world’s largest collection of gin, with more than 1,000 varieties of the now uber-fashionable spirit. Other Singapore bars on the list were: the minimalist Operation Dagger (#24); 28 Hongkong Street (#25), boasting the world’s first in-hotel barrel ageing room; The Tippling Club (#31), which uses sonic waves to age one cocktail; and Native (#47), which sources – and even forages – local spirits and produce. Required skills and attributes vary depending on your level of involvement and the nature of your bar. Unless you can afford to hire a manager to run the joint, bartending experience is arguably a must. You can, of course, recruit staff with the skills and qualifications that you lack – whether in cocktail-making, food, marketing or something else. If you do opt to buy a bar in Singapore, you can browse our bars for sale in the city-state and submit enquiries to sellers free of charge. Location and Proximity to other bars and restaurants is a good sign. Condition of premises: Kitchen, equipment, furnishings and so on. When was the establishment last refurbished? After acquiring your bar, you’ll need to focus on minimising disruption during the transition to new ownership. Once familiarised with your new business you’ll have a clearer idea of where its strengths and weaknesses lie. Invite and listen to the viewpoints of staff and customers, who will respect you for taking their opinions into account. But don’t just audit your own business; visit other bars in your neighbourhood for inspiration – and perhaps the bars that made the top 50 list covered earlier. In what ways do they excel or fall short and why? At this point, you can think about how to attract more customers and boost takings. You might build on existing strengths or completely overhaul the operation – new menus, new décor and even a new name, for instance. The latter option is a lot more expensive and riskier in terms of alienating loyal customers – but might be worth it if the business is struggling or you spot a gap in the market for a particular type of bar. If you’re selling a bar, put yourself in the buyer’s shoes: who might that buyer be and what might they like and dislike about your business? A SWOT analysis – Strengths, Weaknesses, Opportunities and Threats – can help you identify ways to boost the value of your business and advertise it to prospective buyers. It’s wise to give yourself several months to build on its strengths and mitigate or eliminate its weaknesses. And when you list the bar for sale on BusinessesForSale.com, you’ll have a clearer idea of what strengths and opportunities to highlight (for instance ‘high footfall location’, ‘high TripAdvisor rating’ or ‘up-and-coming location’). You probably haven’t sold a business before. Even if you have, it’s still worth appointing an accountant, broker and/or lawyer to help you prepare the business for sale, deal with negotiations and prepare paperwork. Ready to buy a bar? Browse our bars for sale in Singapore now.